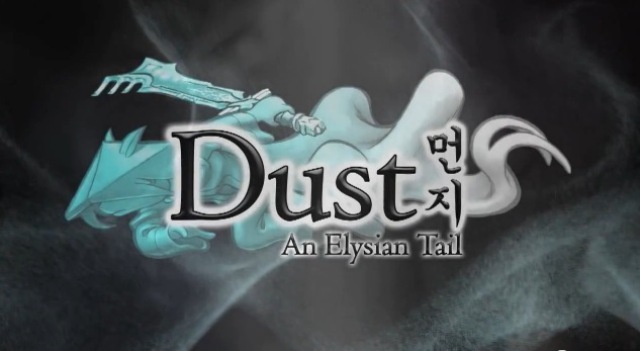 The Bakers Dozen Achievement is all about rescuing your favourite characters that have been hidden throughout the world of Dust: An Elysian Tail. Don’t forget that when you get to any one of the cages that these guys are imprisoned in, you will need four keys and some quick hands to beat the locks! 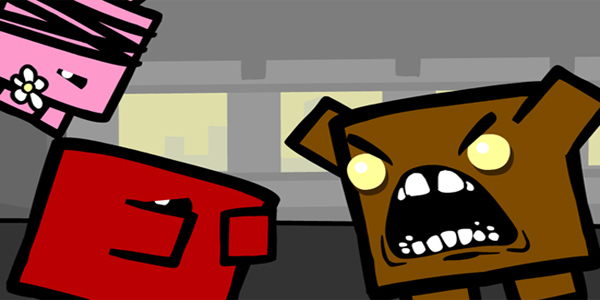 Super Meat Boy should be the first XBLA character which Dust encounters and there is a good chance you will find him with or without this guide. Check the map; you should see a point where the level drops down and there is a shop and a save point in the same area. Head right and use Y to snag the exploding fruit, drop down with the flow of the path (don’t jump upwards) and blow the wall, then keep heading right – you can’t miss Meat Boy’s cage right there. Hyperduck is found beneath Aurora Village, so you won’t be able to access him the first time you visit. Once you find the challenge arena, go right to the save point and keep running right. Once you reach the edge, just keep running and holding right and you will drop onto a ledge. Jump up and right to the next ledge and voila, Hyperduck’s cage is right there. Pass the save point around halfway through the level and Dust will be trotting across several consecutive wooden bridges, being attacked by flying enemies. Eventually, he will pass an exploding fruit and a large group of enemies will descend. At this point, take to the skies using the jump and Y whirlwind attack – Dust should be able to zigzag upwards (and slightly right) carrying enemies with him, allowing you to land safely and unlock Bandage Girl’s cage. This is a really easy one, but Dust will need the slide ability. As you proceed right from the start of the level you will cross a path which has loads of spiky blob creatures below it. At the end of the path you’ll be able to drop into a small hole with a shop in it and a slide hole to the left, which will lead Dust to the creatures. Slide in there and keep going left until you reach a drop. Drop down and then proceed left and keep going until you meet a Giant with some platforms going over the top of it. Use the platforms and keep going left until you find the locked cage! Spelunky Man is an easy one to find, but a tough one to describe. Again, Dust will need to have the slide ability. Head to the very bottom of Cirromon Caverns and then head lead until you are in the second to last area to the left. Jump up until you find a slide hole to the right and head through. Instead of sliding through the next bit (to the right) jump upwards on the small platforms. Slide right, jump up onto the next platform and slide right again. Drop down and this time, slide left instead of right. Drop down again and slide right, then drop down to find Spelunky Man. Another tough one to describe! Start from the surface entrance to Mudpot and drop down into the area below and head left across one more area into Cirromon Caverns. You’ll immediately find an exploding fruit here which Dust will need to guide (using Y) back up to the surface. Head right and you will see a wall which can be blown up. Stand on top of it and blow it up, then in the backdraft of the explosion jump and glide to ride the draft up and slightly left to find the Spelunky Damsel. Dust will need the double jump/glide skill and the hang/climb ability to achieve this one. From the start of the level, head right seven areas until you reach the shop and save point area. Then head up and back left by three squares. Heading up the vines here and to the right will lead to another Save Point and it’s obvious that there is a secret to the left because the jump to the left hand vines is bloody tough. You’ll need to double jump and change direction in mid-air to make it. From here head left into the next area and keep heading left through the spiky vines. Keep going, using double jump and dodge in mid-air to make some of the tricky jumps and eventually you will come to a door. Open it, head in and head right through several very similar rooms, here you’ll eventually find the cage. OK so I admit that I did have to ask around a bit to find this one, but it’s a nice little touch when you find it! Head as far right as you can from the start of the level until you reach a Graveyard. There, you will see one grave has a red flower on it. Have Dust kneel before the grave for a few seconds until something unexpected happens…. Then head right and you’ll find the key! Finding Gomez is a nightmare, but it’s also a lot of fun! Head to the end of the level and just as you begin to drop downwards towards the end; you will find an area marked on the map in yellow. Head right instead of down and eventually you will find a place where you can climb up – do so and at the top, head through the door. You’ll now be viewing the level upside down through nine strange blocks. Head all the way left (perspective wise) and then jump up, causing Dust to appear in the bottom middle window, and then go through the door. Now head right and as Dust appears in the top right window, jump right to see him land on a higher platform in a different window. Turn back left and have Dust double jump left from that side of the platform to ‘skip’ passed the middle window, causing Dust to land in the bottom left window with a doorway. Head through the doorway, then jump left and keep going until Dust hits a wall, turn left again and you’ll find he appears in another window – again with a door which you should go through. Head immediately right and go through the next door (Dust should appear in the top middle box) and then crouch and drop to appear in the left middle box. Drop to the right (perspective wise) through two boxes and then negotiate your way to the cage which will now be visible. This should put the view back to normal and allow you to rescue Gomez! The Kid is located in the area of Archers Pass which is furthest right and is barred by Resonance Gates. It’s not really hidden, but it does mean you need every single Resonance Gem, including the Rainbow Gem which can only be obtained through completing Bopo’s side quest (in Mudpot.) As long as you have the Gems, just keep heading through the gates and wandering up the morphing path until you find The Kid’s cage. This is an easy one, I think – especially as it completes the set! From the save point at the very bottom of the Everdawn Basin head left and let Dust glide over the gentle updraft until he hits a big blast which will shoot him upwards. Hold left and allow him to land on the ledge with The Maw’s cage – and it’s as simple as that.